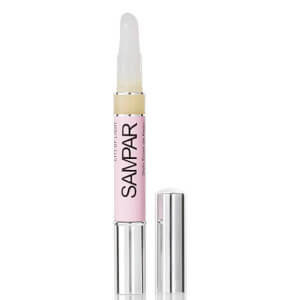 Directly target discolouration with the SAMPAR Spot Lighter; a potent, concentrated treatment with a unique massage-tip applicator for precise and unparalleled results. The fluid formula contains an advanced blend of Subtilisin Enzymes and Citrus-based Flavonoids, which work in tandem to activate skin’s natural exfoliation process and melanin synthesis, alleviating the appearance of discolouration and delivering a visible lightening effect. Complete with the proprietary Urban Advance Complex to neutralise free radical damage, the brightening serum leaves skin tone looking more even and refined. 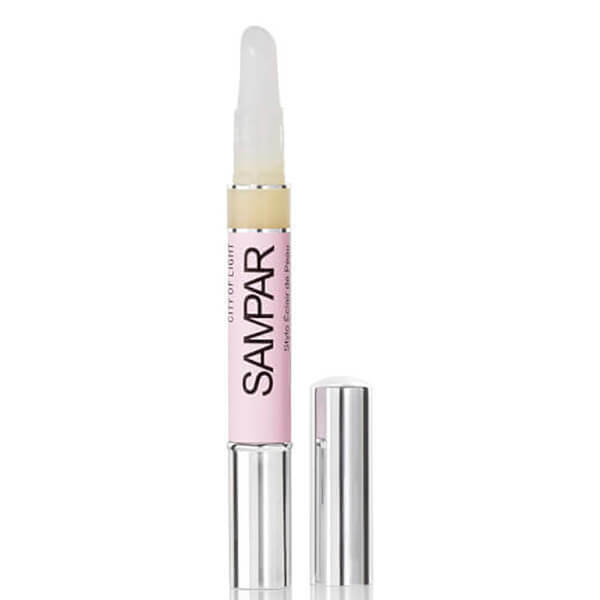 Perfect for leveling age spots and hyperpigmentation on the face, décolletage and hands. Slightly rotate the tip of the pen to release a drop of product. Apply on the desired zone, then massage with the specially-designed tip. Aqua (Water), Butylene Glycol, Citrus Medica Limonum (Lemon Extract), Lecithin, Glycerin, Alcohol Denat, Subtilisin, Polyacrylamide, C13-14 Isoparaffin, Laureth-7, Titanium Dioxide, Sodium Polyacrylate, Sodium Methylparaben, Chamomila Recutita (Matricaria Extract), Butyrospermum Parkii (Shea Butter), Lactilol, Xylitol, Mentha Piperita (Peppermint Extract), Propylene Glycol, Phenoxyethanol, Methylparaben, Butylparaben, Ethylparaben, Propylparaben, Isobutylparaben, Chlorphenesin, Acrylates/C10-30 Alkyl Acrylate Crosspolymer, Triethanolamine, Citrus Medica Limonum (Lemon Oil), Citral, Limonene, Tetrasodium Edta.